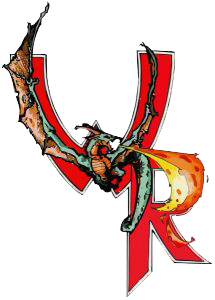 In the world of Wyvern Rising magic is a natural phenomenon that is pervasive in all things. Mages use advanced mathematics that draw upon these forces to cast spells and perform rituals. In the Old World of Merdensa colleges and academies are set up to teach those that have an aptitude for the arcane arts. Among the native species of Feragothe mages are more rare, but not unheard of. Magical traditions are passed down from master to pupil in an unending cycle. There are three basic factors for casting spells: Arcane Knowledges, Controls, and Power Rank. Arcane Knowledges are the paths or “schools” of magic, Controls define how a spell accomplishes its effect, and Power Rank determines the potency of the spell. Sometimes called “Black Magic.” Darkness magic is taken from the nightmares of the tortured and the dreams of the demented. It is almost always of an evil aspect. Insanity usually follows those who study it. Death Magic that relies on the natural powers of death and decay. It is not always of an evil aspect. Elemental The “Primal Forces” of fire, water, air, and earth. Each is slightly different, but all obey the same, basic metaphysical laws. Light Called “White Magic.” As well as the manipulation of visible light, it is also the purity and goodness in the universe. Some theorize it has a connection to the divine powers of the heavens. Life Magic connected with the energies of all living creatures. Life magic resonates more with the natural world and allows only limited healing. Prime Referred to as “True Magic,” or the “Father of all Magics.” It involves the manipulation of raw magical forces, as well of those forces from other planes and universes. Axial Those forces called forth from the laws of the universe. Gravity and magnetism are two examples. The changing of the nature or aspect of a being or item. This is almost always a temporary change. Apportation The movement of a being or item. Sometimes this Control is used to oppose movement rather than initiate it. Divination The abstraction or concealment of knowledge, in or from, one’s surroundings or an item. All common spells will fall into one of the above Controls. In fact, many spells will fall into more than one of the above categories. A fireball spell, for example, relies on Conjuration to spring into existence but also Apportation to reach its target. Nevertheless, one of the Controls is always dominant in common spells. All spells are assigned a Total Knowledge Requirement or TKR based on the spell’s Arcane Knowledge and Control and is expressed as Arcane Knowledge/Control: Numeric Value. The numeric value in the TKR is the sum of the Arcane Knowledge and Control levels of the spell. The TKR is the minimum value that the mage must meet in a given Arcane Knowledge and Control combination in order to memorize and cast the spell. This can be written as Arcane Knowledge + Control ≥ TKR. A Life spell that falls under the Control of Alteration and requires at least six points of skill would be written as Life/Alteration: 6. Arcane Knowledges and Controls may be purchased multiple times. This is expressed by numeric value after. If a character purchased the Arcane Knowledge: Darkness six times, his/her character card would express this as Darkness (6). The same goes for Controls. A character that purchased the Control: Divination three times would have Divination (3) on his/her character card. Balthus the mage has Elemental (3) and Conjuration (2), thus he has an Elemental/Conjuration value of 5. When we look at the spell called Burning Hands we see that the TKR is Elemental/Conjuration: 3. Therefore Balthus is able to cast this spell. However, he could not yet cast Fireball, which has a TKR of Elemental/Conjuration: 9. The last factor in spell casting is Power Rank. Wyvern Rising uses a “spell slot” system for casting spells. These are slots are represented by the skill Gather Power Rank X. Each Gather Power slot allows a mage to memorize (and later cast) one spell. Power levels are given a numeric value, and each spell will have a corresponding level. Spells of Rank 1 require a Gather Power Rank 1 spell slot for memorization; spells of Rank 2 require a Gather Power Rank 2 slot, and so on. Multiple Gather Power slots may be purchased for each level, allowing for an increasing number of spells available for casting. Upon casting a spell, the Gather Power slot is expended for the duration of the period. The same spell may be memorized several times; filling additional Gather Power slots for each time. This allows a mage to cast the same spell multiple times per period. It is important that the spell pyramid be constructed carefully. Mages should keep in mind what spells they would like to fill the Gather Power slots with for the coming period. Magic spells are comprised of a number of elements: a spell name, an Arcane Knowledge/Control/TKR, a Power Rank, a mathematical equation, a spell rune, a delivery method, and an effect. This may seem like a lot, but they all fit together, as will be explained in this section. Each spell has a distinct name that defines it as a unique spell. These names are usually indicative of the effect of the spell, but exceptions do occur. Following the spell name is the Arcane Knowledge, Control, TKR, and Power Rank of spell, which are the same as described in the previous section. The spell equation and the spell rune are next. Magic itself is very mathematical in nature. It has precise arithmetic rules that govern its behavior. All spells have a unique mathematical equation and a spell rune associated with them. This equation/rune combination shapes the ever-present magical energies found in nature to create the spell. The spell equation is a specific mathematical expression which can be directly translated into the effect of the spell. The spell rune is made by combining the runes for the spell’s Arcane Knowledge and Control in some fashion. While the equation shapes the magic, the spell rune helps concentrate the magic so that the equation can transform it into a proper spell. The skill Read Magic allows a player to read and understand the arcane writing of a spell equation and a spell rune. The next part of a spell is its delivery method. The delivery method describes how the spell reaches its target and is divided into three categories: Ranged, Touch, and Personal. Ranged spells must be cast by using a spell packet. The spell packet must leave the caster’s hand before it reaches its target. The distance it travels can be very small, even a few inches, but it must not be in the caster’s hand before it makes contact with the target. Touch spells are cast through the caster’s hands. These spells may not normally be used with a spell packet. To cast the spell the mage must physically touch the target with his/her hands or use boffer hands. The last delivery method is Personal. Personal spells are spells that affect the caster only. Because of their nature they do not require spell packets or physical contact in order to be cast. Some of these spells are “point and click” spells. This means the mage can cast the spell on a target within range simply by pointing at it and calling the spell. Some spells exhibit physical manifestations of the magical energies unleashed while others are quite covert. All ranged spells have such manifestations and can be seen being cast. This means that players are free to try to avoid spell packets flying in their direction, as these potentially lethal magical energies can be seen hurtling towards them. All touch spells, however, show no signs of being cast. It is not possible to tell that someone has a touch spell cast upon them simply by looking at them, and other means are needed (such as any spells that detect the presence of magic, or even logical reasoning because the person is acting strange). Personal spells are a mix between the two. Most personal spells cannot be detected, however some require the use of a boffer weapon, such as the spell Burning Hands. In any instances where an item, such as a boffer weapon, is needed to represent the spell then the spell effect is visible. When a personal spell does not require an item to represent the spell, then it is not visible, and can only be detected using the same methods as for a touch spell. The last, and most important, aspect of a spell is its effect. This describes what the spell actually does; whether it causes damage to an enemy, creates magical armor to protect a comrade, or a myriad of other effects. If a spell has a duration, casting time requirement, radius of effect, this is also listed with the effect. Before casting any spells, a mage must memorize the spells he/she wishes to cast. This is done by assigning spells to spell slots at the beginning of each game period. A mage must assign the spells as close to the beginning of the period as possible. A mage must also have access to a copy of each spell he/she wishes to memorize, though he/she does not have to carry it on his/her person. Most mages copy their spells and any spells they come across into a spellbook or grimoire. A mage’s spellbook is one of his/her most valuable possessions, as it houses all of his/her accumulated magical knowledge. The player’s character card should have one box titled “Period 1 Spells/Prayers” and one box titled “Period 2 Spells/Prayers.” When a mage assigns his/her spells he/she must write the name of the spell and its rank in the appropriate box on his/her character card. A mage may only assign one spell per slot. A mage cannot assign higher rank spells to lower rank spell slots or lower rank spells to higher rank spell slots. Mages may only assign spells to slots for which he/she meets the TKR and Power Rank requirements. When completed the player must present his/her spellbook (or whatever spell source the mage used), and his/her character card to a staff member. The staff member will then check to make sure that the player has a physical copy of each spell, assigned the spells correctly, and meets the TKR of each spell. If the mage meets all of the requirements the staff member will initial the box. Once the box has been initialed by a staff member, it is locked and cannot be changed for the duration of the period. Balthus copies the spell names and ranks to the “Period 1 Spells/Prayers” box on his character card and then heads to Logistics to find a staff member to approve them. Balthus finds the staff member Jessica and she agrees to check his spells. Balthus then hands her his character card and spellbook. Jessica first checks to see if Balthus meets the power rank and TKR requirements of each spell. Jessica notices that Balthus does not have any points in Apportation and tells him that he cannot cast Rescue because he does not meet its TKR. Balthus apologizes and chooses the spell Cause Wounds (Rank 2, Death/Conjuration: 9) instead. Jessica then looks through Balthus’ spellbook to make sure that each spell is there. She finds that Balthus does not have the spell Cheetah Speed written in his spellbook and tells him. Balthus remembers that he has the spell written on a separate piece of parchment and pulls it out of his pouch to show Jessica. After checking all of Balthus’ spell requirements Jessica tells Balthus that he has met all of the requirements to cast the spells he chose. She initials the appropriate box and gives the spellbook, and character card back to Balthus. Balthus leaves Logistics and is now free to use his spells until the end of the period. At that point he will have to assign new spells and return to have those checked and initialed. As mentioned above, before casting a spell it is first necessary to have the spells assigned to spell slots and initialed by a staff member. It is also necessary for the caster to have a wand with a special rune called the Rune of Focus inscribed upon it. Wands have been magicians’ weapons for centuries. The shape of a wand is its most important aspect. Certain geometries (the typical wand-shape) allow for the funneling of magical energy. It is because of this that only wands may be used to cast spells. While a Rune of Focus may be inscribed onto other objects, it cannot be used to cast spells unless it is on a wand. Wands must roughly cylindrical with a maximum diameter of 2″ and a length between 6″ – 22″. The quality and material of a wand could be of importance later in a mage’s career, but most apprentices begin with a simple wooden wand. The Rune of Focus, seen to the left, aids in the construction of spells. It helps concentrate the forces of magic and focus them to form a spell. Mage’s usually must start out using a wand because of the need for the Rune of Focus. The shape of a wand directs the magical energy to flow into the Rune of Focus. If a mage’s wand is lost or destroyed, he/she must create or locate another before being able to cast spells again. Almost as important as the Rune of Focus and wand shape, is the fact that the wand can be inscribed with additional runes, which hold additional spells. This allows a mage to essentially have “free” spell slots, but these slots are limited to specific spells. Different materials have different attributes with respect to the runes that are placed on them. Most mages jealously guard their secrets when they find out about new materials, so sometimes experimentation is necessary to find the optimum material for a mage’s needs.Almost as important as the Rune of Focus and wand shape, is the fact that the wand can be inscribed with additional runes, which hold additional spells. This allows a mage to essentially have “free” spell slots, but these slots are limited to specific spells. Different materials have different attributes with respect to the runes that are placed on them. Most mages jealously guard their secrets when they find out about new materials, so sometimes experimentation is necessary to find the optimum material for a mage’s needs. In order to successfully cast a spell, a mage must physically touch a wand with his/her hand. The mage then simply states the name of the spell as loudly and clearly as possible, throws a spell packet or touches a target, and gives a brief synopsis of the spell’s effect. Some spells require a concentration time to cast. The mage must be touching a wand with his/her hand throughout the duration of the concentration time. During the casting time, the mage may not run, use a weapon, attack, or defend. If the mage is wounded or otherwise disrupted he/she must begin the casting anew. At the end of any combat situation a mage must cross out any spells he/she used from his/her character card. If spells are cast out of combat the mage must immediately cross out the spells from his/her character card. Balthus encounters a bandit and decides to cast Cause Wounds upon him. While gripping his wand Balthus calls “Cause Wounds,” throws a spell packet at the bandit, and then calls “Four Damage.” Balthus then runs over to help his friend Beareck who has been injured. Balthus lays his hand on Beareck’s shoulder. He concentrates for 30 seconds and then calls “Rescue. Heal 1 Body.” Beareck is revived from his Death Count, thanks Balthus and the two friends finish off the bandit. Once the combat ended Balthus crosses out Cause Wounds and Resuce from his character card. Spells are expended even if the mage misses his/her target. Spells also require the mage to say the spell name. This is a representation of the words the mage must speak to shape the magical energies of the spell. If a mage is unable to speak for any reason, he/she is not able to cast any spells. Enhancement spells of the same Control are not able to be stacked. If a mage casts an enhancement spell on someone who already has an enhancement spell in effect, and both spells have the same Control, then the second spell completely overwrites first spell. This also happens when a spell with duration is cast on a target and then is cast again on the same target before its duration ends. Balthus’ friend Beareck is under the effects of the spell Mirror Image (Next “Hit” is a “Miss”).. The Control of Mirror Image is Alteration. Balthus does not realize that the spell is still in effect so he places a hand on Beareck’s arm, concentrates for 30 seconds, and calls, “Stone Skin. Plus five armor.” The Control of Stone Skin is also Alteration. This means the effects do not stack. The false image is immediately replaced by the +5 Armor Points from the Stone Skin. The two friends fight another bandit and during the course of the fight Beareck’s Stone Skin is reduced to +3 Armor Points. Balthus decides to help his friend out again and casts Stone Skin on him one more time. The +3 Armor Points from the first Stone Skin are immediately replaced by the +5 Armor Points from the second Stone Skin. When a player makes a mage as a new character he/she gets to pick from a number of starting spells to begin the game with. The player is allowed to choose one Arcane Knowledge/Control spell for each Arcane Knowledge/Control combination he/she has per Power Rank he/she can cast at. The spells must be chosen from the public spell list. A player who starts a mage character is allowed to start the game with a spellbook and a wand with a Rune of Focus inscribed upon it. If a player wishes to start with a wand made of a special material they must have approval is required from the game staff. At this point the most technical aspect of Wyvern Rising’s magic system has already been covered. This section contains descriptions of skills that mages may learn to augment their magical abilities and draws upon the information presented in the previous sections. The skills will be discussed in ‘tier’ order or the order in which they can be learned. Classify Ambient Power – This skill is a bonus skill available to mages and is very practical for those who wish to garner information about magical forces around them. Once a mage knows how to Gather Power and shape it into a spell he/she may begin to recognize the ebb and flow of magical energies around him/her of knowledge schools that they have at least 5 points in. These energies are everywhere. They permeate everything and leave tell-tale signs when a spell or enchantment is active, or has been recently cast. When using this skill a mage may ask a staff member for the Arcane Knowledge and Control of any active spells or enchantments around him/her. This skill may also be used to detect latent or recently cast spells as well. The information gleaned through the use of this skill can, at times, be unreliable. The accuracy of this skill relies on a number of factors: how long ago the spell was cast, how many spells have been used in the same area, and how familiar the mage is with the Arcane Knowledge and Control being detected. Most mages can readily recognize Darkness magic through this skill despite being untrained in it. However, a mage may not be able to identify Arcane Knowledges and Controls with which he/she has no training (or points) in. Donate Energy – This skill is a skill in which a character can help other mages complete a ritual. Donate Energy allows a mage to sacrifice spell slots in order to increase the Control of a mage attempting to perform a ritual. This skill is described in more detail at the end of the Rituals section. Mage Shield – This second-tier skill allows a mage to concentrate gathered energy into a small disc about the size of a Small Shield to protect himself/herself. As well as functioning as a shield for physical attacks, this disc will effectively dissipate any spells and prayers it comes in contact with. A Mage Shield will only work against spells and prayers that use spell packets. Spells that have already hit a legal target will not be affected by a Mage Shield. Once a spell packet hits a Mage Shield it has dissipated and cannot bounce off and affect another target. The Mage Shield phys-rep must meet all safety requirements that a normal shield must meet, and must be of a bright, unnatural color, such as neon green. In order to invoke a Mage Shield a mage must sacrifice a Rank 2 or higher spell slot. He/She must then concentrate for 30 seconds call “Mage Shield.” The mage must then cross out a Rank 2 spell on their list of prepared spells and write “Mage Shield” in the list of enhancements. When the shield is Invoked, the shield in his/her hand, ready to be used. A Mage Shield lasts for 2 minutes and is not an Enhancement for the purposes of spell stacking. It is the second game period and Balthus finds himself up against an evil Darkness mage. Earlier, Balthus remembered to sacrifice his Stone Skin in order to prepare a Mage Shield. The evil mage starts throwing spells and Balthus decides to invoke his Mage Shield. Balthus calls “Mage Shield!” and puts his phys-rep around his hand. As the Darkness mage starts casting spells Balthus confidently strides toward him, while batting away spell packets with his Mage Shield. At the end of battle, Balthus must cross off Mage Shield from his list of enhancements. Unravel Spell – Learning this third-tier skill allows a mage to dissipate spells as they are being cast. The mage is able to use his/her gathered power and knowledge of how spells are created in order to undo a spell right after it is created. Using Unravel Spell requires a mage to sacrifice a Rank 3 or higher spell slot. In order to use the skill the mage must have an unused spell slot to give up and call “Unravel Spell, [spell name]” within 3 seconds of the opposing spell being cast. Unravel Spell retroactively counters the spell just cast, and play continues as if it had not happened. As Balthus closes the distance with the Darkness mage the evil wizard runs to the side and throws a spell that Balthus’ Mage Shield fails to block. The Darkness mage calls “Shade Lance, Fifteen Damage!” Normally, a spell this powerful would kill Balthus, but he reacts quickly and calls “Unravel Spell, Shade Lance!” The spell is dissipated and Balthus takes no Damage. Balthus sacrifices his only Rank 3 spell slot, but breathes a sigh of relief at his own quick thinking. Focus Power – This fifth-tier skill grants a mage the ability to focus the natural magical energies around him/her. The mage no longer needs a Rune of Focus, and thereby, he/she no longer needs a wand. He/she may still choose to carry one though, so that any other runes that may be inscribed on the wand are still available for use. Mages with this skill become very dangerous foes indeed. Simple shackles are no longer all that is necessary to make him/her powerless. Ascend: Arch-Mage – This is a skill that represents a Mage’s ability to transcend the normal limitations that restrict his/her peers. The names of the Arch-Mages throughout history are names that will never be forgotten. Jar’ph’lenx the Primal: the first mage to truly master the four elements. He is credited with creating most of the Elemental Knowledge that we study today. Frederic the Haggard: first to study the properties of gems and crystals with respect to magical energies. Rollen Leafsong, the Chaotic: True Elven Mage who is credited with elevating the magic that early Humans had studied to a level resembling what the contemporary Elves had. The list goes on. It is relatively short, but very distinguished. It has some saintly mages, such as Chandri the Life Giver: the most powerful mage ever to employ healing magic. And, it has some very, very evil mages, such as Kaylith the Sable, who is said to have sold his soul to a Demon King for his powers over Darkness. Even He whose name is lost to history, He whose name has been stricken from all records, He whose name shall never be uttered, The Unnamed One, was an Arch-Mage. There is much speculation on what is actually involved in Ascension because no one really seems to know the truth, but it is known that it comes with a high price. There seems to be no set guidelines in what happens when one Ascends, often it is dependent upon the mage’s natural abilities and power. Arcane Experiment allows a mage to alter or create new spells and rituals. This skill is primarily used between events. When a player learns this skill he/she will be given a copy of the Master Spell Key, a document that details how the spell equations are made and lists definitions for every arcane symbol. Using the key the player may attempt to alter or create a new spell equation. If the player’s character attempts to use Arcane Experiment he/she should send the game staff an After Action Report that includes the following: the new spell equation, its effect, name, Arcane Knowledge, Control, TKR, Power Rank, and delivery method. The player should also include a paragraph or two that describes the process by which the character tests the spell or any other relevant information. If the player is altering or creating a ritual he/she must also include a complete ritual write-up. The time it takes to alter or create a spell or ritual is one month per rank. At the end of the appropriate time the player will be contacted by the game staff and told whether his/her experiment was a success or a failure. The player will be told the exact effect of the spell or ritual they have created. This effect may be different than what the player intended and is based on how the game staff decoded the submitted spell equation. Mages take great care to make sure they understand all aspects of a spell equation they wish to experiment on as use of Arcane Experiment can be very dangerous, even deadly, when performed improperly. Magic rituals are a set of instructions that gather, shape, and hone magical energies for a predetermined effect. There are a myriad of ways that rituals can be performed and it is rare that any two are very similar. Some rituals require a mage to intone specific words or phrases, some require a mage to perform precise motions and movements, some require magical components that help shape the energies the ritual gathers, and some combine all of these elements and more. Rituals are comprised of a number of elements, many of which are similar to spells: a unique ritual name, a Total Knowledge Requirement (TKR), a Ritual Rank, a Power Factor, a process, and an effect. The ritual skills begin at the third tier with Ritual Rank 1. Rituals also have an Arcane Knowledge and a Control associated with them. However, there are some rituals that have only an Arcane Knowledge and no Control, some that have only a Control and no Arcane Knowledge, and some that have multiple Arcane Knowledges and/or multiple Controls. The TKR of a ritual works exactly like that of a spell. The addition of all Arcane Knowledges and Controls must equal or exceed the TKR of the ritual. If no Arcane Knowledge is specified then TKR is computed from the associated Control only. Likewise, if no Control is specified then the TKR is computed from the associated Arcane Knowledge only. This can be written as (if any/all possible) Arcane Knowledges + (if any/all possible) Controls >= TKR. The Ritual Rank of a ritual functions just like the Power Rank of a spell. A mage will need to have the appropriate Ritual Rank X skill in order to preside over rituals of rank X. Unlike spells, a mage only needs to learn Ritual Rank X once before he/she can perform all rituals of that rank. A mage who performs a ritual is known as the presiding mage. Finally, rituals have a unique element called the Power Factor. The Power Factor is a numeric value that represents the minimum Control a mage needs in order to cast the ritual. This represents the amount of Control necessary to shape the powers involved in the ritual into the end form. If the ritual contains multiple Controls then the presiding mage’s highest Control can be used to meet Power Factor requirement. Balthus has been studying magic for some time now and has finally learned how to cast rituals. He has just recently purchased a Ritual of Luminance from a traveling mystic and gathered all of the components he needs in order to perform it. Before Balthus begins he double checks his character card to make sure he has the necessary ranks in Arcane Knowledges and Controls. Balthus sees that the ritual has a Ritual Rank of 1. Since Balthus has Ritual Rank 1 he is able to perform this ritual. Balthus next checks the TKR. For this ritual it is Light/Conjuration: 7. Balthus has Arcane Knowledge: Light (5) and Conjuration (7), so he also meets the TKR of the ritual. Finally, Balthus checks the Power Factor. The ritual has a Power Factor of 4. This means Balthus needs a Conjuration of 4 or greater in order to meet the Power Factor Requirement. Luckily, Balthus’ Conjuration of 7 is well over the amount needed to perform this ritual. Now confident in his abilities, Balthus is excited and begins performing the ritual. There are times when a mage has ranks in the appropriate Arcane Knowledge and Control but is unable to meet the TKR and Power Factor requirements needed in order to perform a ritual. In cases like this a mage is able to seek help from someone with the Donate Energy skill. As mentioned above, Donate Energy allows a mage to sacrifice spells slots in order to increase the Control of a presiding mage up to a level that allows the ritual to be cast. For every spell slot sacrificed, the appropriate Control of the presiding mage is increased +1 per Power Rank of the spell. Therefore, a rank 3 spell slot adds +3 to the presiding mage’s Control. A mage may only donate as many points towards the Power Factor as he/she has in the Control named in the ritual. If a character has only two points in Apportation, then he/she may only ever donate two points to that type of ritual. Multiple mages may use Donate Energy to increase the presiding mage’s Control. However, any mages that use Donate Energy in such a fashion become a part of the ritual and must be present until its completion, otherwise the ritual will fail and the participants may suffer magical backlash. Thanimor has been studying rituals as well and he wants to cast the Ritual of Luminescence. Unfortunately, his Acrane Knwoledge: Light is only 2 and his Conjuration is only 1, while the TKR of the ritual is 7 and the Power Factor is 4. Balthus decides to help his friend and uses Donate Energy to increase Thanimor’s Conjuration. Balthus sacrifices one rank 3 spell slot and one rank 1 spell slots to increase Thanimor’s Conjuration by +4, to a total of 5. Thanimor now meets both the TKR and the Power Factor, and is able to perform the ritual. Balthus must stay with his friend until the ritual is completed, because by donating energy, he became a part of the ritual. If he leaves, the ritual will automatically fail and the unbound magical energies may hurt himself or Thanimor. In addition to presiding over rituals, a mage with Channel Spell X is able to cast spells of rank X or lower, directly from his/her spell book. This channeling does not expend a spell slot and does not require any memorization of a spell. Meeting the TKR is still necessary however, and the Power Factor (minimum Control level) is equal to one-half of the TKR, rounded up. Ritually casting a spell is not instantaneous like spell slinging. It takes time to shape the magical energies to form the spell. Two minutes of role-playing is required per rank of the spell. The mage must be touching his/her wand with her hand during the casting time. If the spell already has a time requirement for casting, the times do not add and only the channelling time is used. During the casting time, the mage must role-play the casting by reading from his/her book. The mage must concentrate on the casting and so he/she may not run, use a weapon, attack, or defend. If the caster is wounded or otherwise disrupted he/she must begin the casting anew. Once the appropriate role-play time is up, the mage may immediately cast the spell just as if it were memorized, as described in the Casting Spells (Spell Slinging) section. If a channelled spell has a lasting effect the mage should write the spell name, effect, and the period in which it was cast in the appropriate box on the target’s character card. Balthus wishes to channel Stone Skin (Rank 2, Elemental/Alteration: 6) on himself. Balthus has Channel Spell 2 and meets the TKR. Since this is a ritually cast spell the Power Factor is equal to one-half of the TKR, rounded up. In this case it would be 3. Balthus has Alteration (5) so he also meets the Power Factor requirement. A rune is a symbol that possesses special properties in an In-Game setting. Runes may hold magical energies, contain specific spells, or help a character cast spells or perform rituals, just to name a few possibilities. Runes can be broken down into two different categories: Mode Runes and Spells Runes. The Rune of Focus is a prime example of a Mode Rune. Mode Runes serve no specific purpose, but instead assist in the general workings of Magic. In modern terms Mode Runes might be compared to a calculator. They are generally helpful in doing math, but still able to perform several different functions (such as multiplication, division, addition, etcï¿½). The disadvantage to these Runes is that they usually require activation energy of some kind to be useful. Rune of Focus: Aids a mage in spellcasting. A requirement in all spellcasting unless a mage is skilled at Focusing their power. Rune of Glyphs: This rune sets the platform for a temporary Spell Rune. In order to place a Glyph on an object, it must be High Quality or Master Quality and must still contain the ability to hold Spell Runes. Glyphs, when properly scribed, will hold the energy of a single spell in them that may be expended by anyone who knows the activation. Once the energy is released, the Glyph disappears. If the Glyph is not expended in this way, it will disappear at the end of the event or the next event attended if crafted in an After Action Report. Glyphs may also be used by Enchanters to Imbue inscribed Spell Runes. Imbuing in this manner expends the use of the Glyph. Glyphs require a pinch of astral jonquil sand per spell rank in order to craft and take 1/3rd the crafting time of a Spell Rune of equal rank. Rune of Anti-magic: This rune is very metaphysically volatile, and reacts very poorly when interacting with magic. One Anti-magic rune/Rune of Redirection may be placed on an object or person. The next time a spell or spell energy would come into contact with the object with a rune of Anti-magic on it, that spell or energy is Unraveled and the rune disappears, causing Backlash if appropriate. This rune lasts until the end of the event or the end of the following event attended if crafted in an After Action Report, or until used, whichever comes first. Anti-magic runes require three pinches of umbral jonquil sand and take an equal time to craft as a rank 2 Spell Rune. Rune of Channelling: Runes of Channelling can tap into the inner workings of a wand and route its energy into physical force. This permanent rune may only be placed on objects that carry a Rune of Focus. It, when combined with the Channel Ambient Energy skill, allows a mage to use Spell Packets to throw 1 Force damage. Force damage is a damage descriptor unique to Channelling Runes and is considered physical damage that may be blocked by weapons or shields. Rune of Channelling requires two pieces of jonquil and an equal amount of time to craft as a wand. Rune of Redirection: Think of this rune as a mirror. An object or person may contain a single Rune of Redirection/Anti-magic rune. The next time a singular spell would be cast at an object or person containing this rune, the spell is immediately returned to the caster and the effects are applied to them instead. The rune disappears at the end of the event (or the end of the next event attended if crafted in an After Action Report) or upon the next spell affecting it, whichever comes first. Runes of Redirection require five pinches of umbral jonquil sand and take an equal time to craft as a rank 4 Spell Rune. Trap Rune: Similar to the Glyph, save much more physically volatile. A Trap rune may be placed on objects in the world. These objects need not be High Quality or Master Quality and may have a spell loaded into them like a Glyph. Trap runes must be represented with a 1’ x 1’ Trap Tarp. Unlike the Glyph, however, the next time someone, including the casting mage, were to touch the Trap rune, the rune explodes, delivering the effect of the rune onto the unlucky victim. This rune lasts until the end of the current event (or the next attended event if crafted in an After Action Report) or until used, whichever comes first. Trap Runes require a pinch of astral jonquil sand per spell rank in order to craft and take 1/3rd the crafting time of a Spell Rune of equal rank. Rune of Superior Elixers: This rune is a curious one, as it does not directly affect magic at all. When scribed, any Mystical Alchemy that is brewed over the top of it has its effects increased. Alchemy prepared in this manner has its effects multiplied by x1.5, rounded down, but it comes with an expiration date of 4 months. This is to represent the enhanced energies burning themselves out after a time. This rune is good for a single batch and disappears when used or at the end of the event (or the end of the next event attended if crafted in an After Action Report), whichever comes first. Runes of Superior Elixers require five pinches of aetherial jonquil sand and take an equal time to craft as a rank 3 Spell Scroll. Raw jonquil may be obtained by miners and cut by jewelers for use in crafting. Various jonquil sands may be acquired through Mystic Alchemy. See the Arcane Crafting Chart for more details on how to craft Mode Runes. Spell Runes are used to store a single specific spell. They require no activation energy but are only unlocked through a control word, phrase, or gesture. Anyone who knows the specific passkey of a Spell Rune may activate it. A specific Spell Rune might hold the spell Adrenaline, for example, and someone who knew how to activate that Rune could then cast Adrenaline at any time. Spells stored in Spell Runes may be used at any time to instantly cast the spell inside. Even if a spell stored in a Spell Rune normally requires a concentration time to cast, it can still be cast instantly from the rune. Once exhausted, however, Spell Runes need to be recharged. If the above comparison were to be carried through, a Spell Rune would be like a calculator that could find the square root of 1,475,689 instantly, but that’s all, and only once. The skill Imbue Rune allows a Mage to charge a given Rune. In order to charge a Spell Rune, a mage must simply cast the same exact spell into the discharged rune. This may be done through normal spell casting or by channeling. Balthus encounters his good friend Beareck again who happens to have a Rune of Detect Lie on his sword. Beareck happened to use this Rune earlier when interrogating a blasphemous Orc, so he asks if Balthus can recharge it. If Balthus has the skill Imbue Rune and is able to cast the spell Detect Lie, Balthus could happily say ï¿½Yes,ï¿½ and then make a mental note that Beareck owes him one, possibly in the form of some healing in the future. In most cases, a Spell Rune must be written or drawn on the item in it scribed on. When a Spell Rune is charged, the casting mage must write on the weapon tag that it is charged. If a Spell Rune is invoked during a battle and the character finds that the Spell Rune is not charged, then that player immediately falls to the ground and is in the Third Stage of his/her Death Count and the Rune is destroyed. This symbolizes the mystical energies backlashing with devastating force. The fourth-tier skill Inscribe Rune is required to initially put a Spell Rune onto an object. In order for an object to accept a rune, it must be of High Quality, or better (for more information on High Quality items, see the Smithing section). Also required is the precious stone Jonquil. Jonquil is a transparent stone that is light yellow in color. The number of these stones needed is equal to the Rank of the spell. The Jonquil is consumed in the inscribing process. Inscribing a Spell Rune is a very tedious and time consuming process, and can take most of a month, and sometimes even longer. A mage must meet the TKR and Power Rank requirements for any spell he/she wishes to inscribe as a rune. The Arcane Crafting Chart lists the time needed for Spell Rune inscription. Some gems and semi-precious stones have special properties due to their crystalline nature that allows them to store magical energies. The gems must be cut by a professional gem-cutter in order to attain the precise angles needed to store the magical energy. Once prepared, a capable mage is able to impress energy from a specific Arcane Knowledge into the gem for later use. Different gem types accept different energies from the different Arcane Knowledges. For example, diamond only accepts Light energy while amethyst only accepts Prime energy. Impressed energy is used in Rituals and in Arcane Crafting in order to meet the high TKR demand of those acts. Gems used in this manner must be present throughout the entire ritual/crafting time or else the energy is lost and the presiding mage must start anew. After which, the gem used it destroyed. Players may only use one gem in this manner, and the gem must match the Arcane Knowledge of the Ritual or Arcane Craft they are attempting. Using the skill Classify Ambient Power will sometimes grant the level of power contained within a gem. The third-tier skill Impress Spell allows a mage to store a energy within a cut gem. The item, in this case, is almost always a gem or semi-precious stone. Impressing energy into a gem takes time and concentration. A mage must meet the TKR and Power Rank requirements for at least one spell in the Arcane Knowledge and rank they wish to craft in order to be successful. The Arcane Crafting Chart lists the time needed for impressing energy into a gem. Reading from magical scrolls is a staple in many fantasy stories. A scroll is a magical spell, which has been written upon parchment with special magical ink. Scrolls do not use spell slots, but are consumed by the magical energy in the ink after they are used. In order for a character to use a scroll, he/she must have the skill Read Magic, and possess one point in both the Arcane Knowledge and the Control of the spell on the scroll. A Scroll must be in-hand and readable when being used, but its use is otherwise identical to normal casting. Even if a spell on a spell scroll normally requires a concentration time to cast, it can still be cast instantly from the scroll. Casting from a scroll can be potentially very dangerous. A spell cast from a scroll may be Unraveled just as any other spell, however this causes Backlash. This means that the caster takes damage equal to the Rank of the original spell. The skill Create Scroll allows a mage to create scrolls. Scrolls may be written on normal parchment, but require special magical ink from the Mystic Alchemy path. Spell inks are specific to the Arcane Knowledge of the spell to be scribed. The spell ink used to write a Non-Living spell is different than the spell ink used for a Darkness spell. Each scroll requires 1 tablespoon of spell ink. Also, a mage must possess 2x (twice) the TKR of the spell being scribed. Creating a scroll is a lengthy process, which requires one to be extremely meticulous, because a mistake could be deadly. The Arcane Crafting Chart lists the time needed for creating a scroll. The skill Craft Wand allows a mage to craft a wand. Wands are minor artifacts and their shape very important in the spell casting process. Precise geometries are needed in order to direct the ambient magical energy into a Rune of Focus. As mentioned in the Casting Spells (Spell Slinging) section wands must be roughly cylindrical, between 6″-22″ in length, and have a maximum diameter of 2″. A wand requires one unit of material for its construction and one jonquil stone to inscribe the Rune of Focus. A mage must pore over a wand with intense scrutiny to make sure it has been constructed carefully. As such, wand creation is not an expedient process and can take up to a month for single wand. The Arcane Crafting Chart lists the time needed for creating a wand. The final skill to be considered is Artifacts’. This skill allows a character to interpret arcane prints and then build Artifacts of corresponding Rank and difficulty. Artifacts usually take a very long time to construct, but are incredibly useful items. Artifacts can be nearly anything, from Golems, to magical jewelry, to Alchemical brewing machines, to magical cups, to nearly anything that can be imagined. Rumors around the Kingdom say that the King is even working on an Artifact ship that will make crossings to the New World safer. The build costs of Artifacts is extremely high, but the proper Artifacts can literally change the face of the world. Whole plots can exist around the construction of an artifact, and the possibilities for artifacts are endless. More on artifacts will be released very soon, so sit tight! This is a very comprehensive magic system, which challenges players to be creative in their use of skills and abilities. The system is designed to allow for constant growth and change. Player innovation and initiative can have long-lasting effects of great magnitude on the Wyvern world.